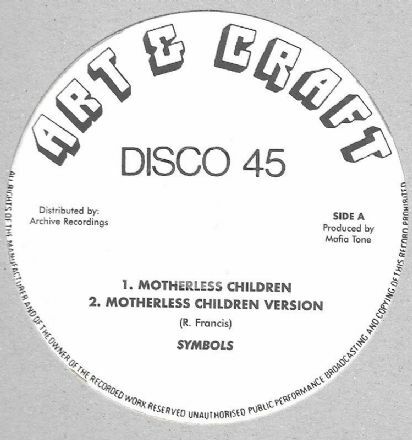 Symbols - Motherless Children / version (Art & Craft / Archive) 10"
Wicked Mafiatone roots from c1980 c/w the deejay piece from Birmingham chanter R. Symbols made some deep and heavy roots tune, ‘Suffering Child’ being another case in point. 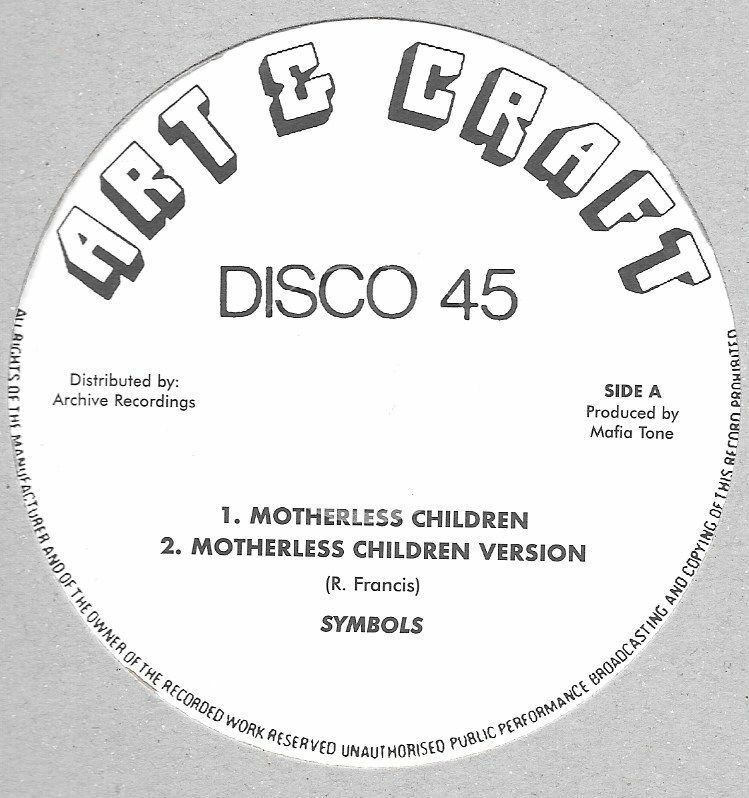 This tune may be familiar to trainspotters as the same riddim as Tony Tuff’s ‘Rumours of War.’ Beautiful riddim and the Dubwise comes set speed with a ranking DJ version. One definite addition to your collection if not already so. Roots.